No doubt you have found that creative expression affects your life in many positive ways and there are many ways to reap the rewards of creativity. In both concrete and abstract ways, creative expression can bring meaning and magic to our daily lives. You may express yourself creatively for the pure purpose not of monetary reward, but for the personal enrichment it brings you and the satisfaction of fulfilling your need to express yourself. Or perhaps you have been able to turn creativity into a profession and you are lucky enough to earn a living doing what you love every day. Either way, your devotion to your craft adds meaning and purpose to your life and to the lives of those with whom you share your gift. It is a way of connecting with others that transcends time, geography and culture. Your emotional intelligence will shine through in your work, influencing the mood and atmosphere around you, and resonating emotionally with your audience. For musicians and vocalists, this form of intelligence may be revealed in the phrasing of lyrics or the passionate refinement of notes played on your instrument. For artists, it shines through in the subjects you depict and the style and techniques with which you render them. Refined attention, purified awareness. Meditation teaches us to regulate our attention, so that we can become aware of, and choose how to direct our attention. Through meditation, we learn to fully engage in present moment activities such as sketching, performing, writing or listening to music. Meditation shifts control of our attention, which results in a shift in our conscious awareness. And it is through this shift in conscious awareness — in slipping through this window that transcends the ordinary mental and physical planes of awareness — that we receive the benefits of meditation. By increasing attentional sensitivity, meditation enhances your ability to observe the subtle details of your surroundings with more depth, clarity and perspective. 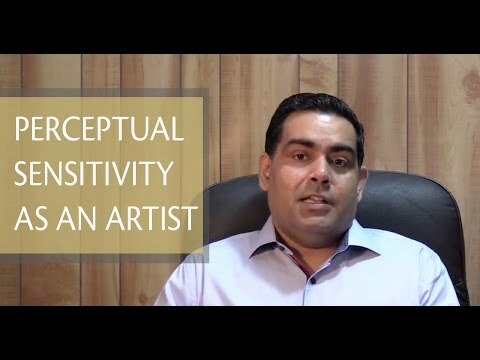 In fact, a higher percentage of our total attentional capacity becomes focused on subtler things and the nuances in life, anessential ability for the creative expressionist. Rather than existing solely on the ordinary physical, mental and emotional levels you’re accustomed to, you begin to notice, appreciate and ultimately reproduce the subtler and nuanced aspects of things… the play of natural light on a flower petal… the special mellifluence of two subtle notes in the bridge of a song that others don’t notice. Meditation improves your ability to sustain attention, ignore distractions, and be productive, even when you’re not meditating, so that creative ideas progress to fully realized projects. Enhanced self-awareness and introspectiveness. Because Sahaja improves self-awareness and introspectiveness, you have live and constant feedback of what’s going on with your mind and body. From self-awareness and introspection comes emotional honesty, which always shines through in any outstanding work of art. From emotional honesty comes emotional resonance, which allows your creative expression to connect with its audience. Meditation can enhance your ability to trust your creative vision. Meditation increases your self-confidence and enhances your mind-body resilience. You may find that you have more courage to pursue creative outlets and aren’t so quick to give up easily on this thing that you love, even if those around you discourage you or criticize you. Through meditation, you may find that you are more adaptable, learning from your mistakes (and from experience). Through enhanced self-awareness, you become better at self-editing and more willing to practice and experiment with different colors, media, rhythms and patterns, constantly learning and exploring new techniques. It is through this courageous exploration that you will produce or perform truly original and distinctive work. Following is some scientific evidence demonstrating specific mental, physical and spiritual benefits of Sahaja meditation that resonate with Artists and Musicians [Creatives]. Meditation can lead to improvements in perceptual sensitivity and perceptual clarity. Perceptual sensitivity is the ability to detect subtle stimuli in the environment. Perceptual clarity is the ability to perceive something clearly and accurately, even when there are interfering, competing or confusing stimuli. Several studies have found that Sahaja improves critical flicker–fusion frequency (the ability to able to detect light flashes of very short duration), which is a common test of perceptual sensitivity and clarity (Manjunath & Telles, 1999; Raghuraj & Telles, 2002; Telles, Nagarathna, & Nagendra, 1995). Sahaja training was also found to increase visual contrast sensitivity in a group of epileptic adults (Panjwani et al., 2000). Meditation has a positive effect on our ability to handle perceptual rivalry. Perceptual rivalry, such as binocular rivalry, occurs when dissimilar stimuli (such as two different images) are viewed simultaneously; that is, one image is presented to one eye and a different image is presented to the other eye. In the brain, perception fluctuates between grasping two distinct images. Rather than perceiving a stable, single blend of the two stimuli, we experience alternations in perceptual awareness — consciousness and attention — over time as the two images compete for perceptual dominance. In a well-known study of experienced Tibetan Buddhist monks, meditation was found to influence these fluctuations by helping to stabilize one of the images in awareness, thus facilitating better visual switching (Carter et al., 2005). Many artists have been fascinated by perceptual rivalry and have employed it to create multiple perspectives of their work. For example, the much-debated enigmatic smile of Leonardo daVinci’s Mona Lisa seems to alternate between different expressions if you stare at her long enough. Salvador Dali often played with the ambiguity of sensory input — from a distance, you notice certain aspects of his paintings that go unnoticed up close, and vice versa. Clothing designers use perceptual rivalry to enliven fabrics; in some plaids, for example, color strips may appear to be in motion. As perception improves, cognitive functioning, as well as physical coordination becomes smoother and better integrated, thus meditation can also improve depth perception and balance. Dexterous or skilled actions depend on the speed of gross movements of hand and arms, manual rhythm, and co-ordination of eye and finger control. 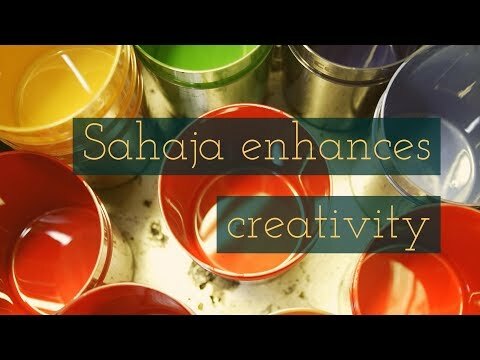 One study using a standard tweezer dexterity test (using a tweezer to place metal pins in evenly spaced holes in a metal plate within four minutes) found that 4 − 8 weeks of Sahaja training improved dexterity by 20.4 percent on average (Manjunath & Telles, 1999).One recent study found that a sequential practice of asana, breathing exercises, meditation & relaxation significantly improved visual reaction time, sensory-motor performance, hand-eye coordination and joint flexibility, which may help the participants respond more effectively and almost instantaneously to different situations in day-to-day life, from the simple to the complex (Dighore & Gadkari, 2013). Motor skill was assessed by using the standard O’Connor Finger dexterity apparatus. The 50 male participants, who were assessed as “mildly stressed” pre-trial, also experienced a clinically significant reduction in anxiety. Stress always distorts perception. An inability to cope with stress impedes performance and productivity and distorts our perspective of events. 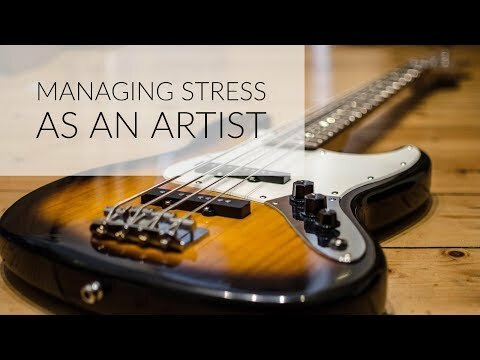 Poor anxiety and stress management, for example, has been shown to contract forearm and biceps muscles during musical performances, negatively influencing fine motor skills in a competitive environment and increasing the risk of developing playing-related musculoskeletal disorders (Yoshie et al, 2009). Sahaja meditation acts as a stress buffer, helping you manage stress, take control of your life, and sustain robust health and self-reliance. Regular meditation activates built-in stress management mechanisms that help your cope with stressors on an ongoing basis, enhancing long-term resilience. Sahaja’s state of thoughtless awareness strengthens your ability to self-regulate emotions, which reduces emotional reactivity and frees your mind to focus on present, rather than dwelling in the past or worrying about the future. A stress-free mind, in other words, is a mind that is free to create. Meditation takes advantage of the brain’s natural plasticity to induce structural changes to the brain, thus lasting changes in cognitive and emotional processing. Extensive daily practice builds compound skills and repeatedly reinforces key neural networks, which continues to drive more plasticity, which allows us to continually improve our creative skills and master our chosen creative venue (Nakata, Yoshie et al, 2010). Meditation has been found to improve memory, reasoning, creativity, learning, motivation. Studies at UCLA found that the brains of active meditators were larger and contained more gray matter than the brains of non-meditators. The normal age-related decline of white-matter tissue (which facilitates stronger, faster electrical connections between brain regions) was considerably reduced in meditators; in fact, the white-matter fibers were more numerous, more dense and better insulated throughout the brains of meditators, improving critical aspects of cognitive functioning: intelligence, reasoning ability, learning, reaction time and efficiency, memory, creativity, emotional stability and self-actualization (the ability to achieve one’s potential). Meditation has been found to actually alter the fundamental electrical balance between the brain’s cerebral hemispheres (Cahn and Polich, 2006), increasing synchrony between emotional processing and reason, between knowledge and intuition. Creatives find that meditation not only enhances creative thinking, it enhances technique and technical skills. Meditation has been found to increase dopamine levels (Kjaer et al., 2002) and increase meditators’ ability to focus attention on the present moment. Dopamine is the primary neurotransmitter involved in our motivational drives (reward-motivation neural circuitry) as well as in the control of movement/motor activity, including the fine motor skills and finesse required for accomplished musical performances or creating artistic works. Dopamine is also heavily involved in regulating attentional systems, heightening sensory awareness, and the release of natural feel-good endorphins, which act as natural mood lifters and have a calming effect on us. Dopamine is widely known to enhance learning, memory and the flow of information in frontal brain regions linked to thought and emotion, which facilitates quicker learning of musical (e.g., phrasing) or art techniques and blends the technical aspects of creative expression to emotional resonance. Dopamine is also associated with feelings of joy, pleasure and reward; in fact, one study found that meditation increased dopamine by as much as 65 percent in limbic (emotional) brain regions (Lou et al., 1999). Meditation has been found to dramatically increase focus, alertness and attention span, even for the monotonous tasks that are sometimes inherent to “practice.” The full engagement and refinement of attention during may increase our ability to become absorbed in other activities. Sahaja meditation has been shown to increase activation of — and have “up-regulating” effects on — fronto-parietal attention networks (Aftanas and Golocheikine, 2001, 2002a, b, 2003). Several studies have found that Sahaja techniques allow meditators to “switch off” irrelevant neural circuitry (such as mechanisms of external attention) that interferes with their ability to function optimally, maintain focused, internalized attention and to inhibit negative, intrusive or distracting information (Aftanas L., Golocheikine S., 2001). In this way, Sahaja meditators can achieve psychological optimization, which primes them for self-actualizing pursuits such as art or music. In fact, meditation has been found to be more effective than napping, caffeine or exercise, even for people with no prior meditation experience (O’Hara, Kaul, 2006). Meditation also helps prevent attentional blink deficits, a phenomenon that occurs when two pieces of information are presented to us in close succession and our brains can’t detect the second piece of information because they’re still busy processing the first (Slagter et al, 2007). Processing efficiency and, in some instances, the ability to multitask, can be essential to playing a musical instrument or artistic mastery. The long-term meditator’s brain is better connected, better balanced, better synchronized, better organized and more efficient. Meditation has been widely demonstrated to increase self-awareness and emotional intelligence. EI is the ability to identify, understand and manage emotions, and use them constructively to facilitate thought and drive behavior. Improved self-awareness improves self-confidence, which is your belief in your abilities within a particular realm of expertise (e.g., playing a particular musical instrument; singing classical music; painting with, say, acrylic and mixed media). EI shapes our understanding of ourselves and how we connect to others. It defines how and what we learn from our experiences and helps us set priorities. It helps you channel your feelings and impulses purposefully, and pursue goals with energy and persistence. You develop the capacity to focus your emotions on a desired goal and delay gratification if it serves the greater long-term goal — it helps good artists become great artists. Emotional intelligence has been found to help facilitate the ideal performance state, the experience of flow, a mental state in which we experience the feeling of enjoyment and energized focus while being fully immersed in an activity (Csikszentmihalyi, 1990). A 2013 study of 76 piano performance students found that the ability to experience flow was predicted by two factors: the amount of daily practice and trait emotional intelligence. In fact, these two factors were more important than all other variables, such as gender, age, duration of piano training and age of first piano training (Marin &Bhattacharya, 2013). Self-actualization is an ongoing state of being and becoming. It is the process of actualizing one’s potentialities at any time, in any amount. In self-actualizing moments, we are experiencing fully, vividly, selflessly, with full concentration and total absorption. We are wholly and fully human. We learn to make growth choices instead of fear choices. The self-actualizing person has an authentic self, and strives, from his or her very core, towards growth like a plant reaches toward light. Chances are, when engaged in creative expression, you’ve found that music or art inspire in you what Abraham Maslow referred to as peak experiences, one of the most important aspects of self-actualization. These experiences are moments of ecstasy, harmony, awe, wonder, and a sense of limitless horizons, followed by the understanding that the experience had deep meaning that could be applied to everyday life. They are what we think of as “the epiphany,” luminous, transient moments during which we have a sense of oneness with the universe. Over time, these moments transform into a more constant or longer-term form of peak experience is known as the plateau experience. a sharp focusing of attention on a specific object — whether it be a lake, a painting, or another person — so that the rest of the world, including the perceiver, disappears. This percept becomes the whole of the cosmos. Truth: (honesty; reality; nakedness; simplicity; richness; essentiality; oughtness; beauty; pure, clean and unadulterated; completeness). Beauty: (rightness; form; aliveness; simplicity; richness; wholeness; perfection; completion; uniqueness; honesty). Wholeness: (unity; integration; tendency to oneness; interconnectedness; simplicity; organization; structure; order; not dissociated; synergy; homonomous and integrative tendencies). Aliveness: (process; non-deadness; spontaneity; self-regulation; full-functioning; changing and yet remaining the same; expressing itself). Perfection: (nothing superfluous; nothing lacking; everything in its right place; unimprovable; just-rightness; just-so-ness; suitability; justice; completeness; nothing beyond; oughtness). Richness: (differentiation; complexity; intricacy; totality; nothing missing or hidden; all there; “non-importance,” i.e. everything is equally important; nothing is unimportant; everything is less the way it is, without improving, simplifying, abstracting, rearranging). Effortlessness: (ease; lack of strain, striving or difficulty; grace; perfect and beautiful functioning). Self-sufficiency: (autonomy; independence; not-needing-other-than-itself-in-order-to-be-itself; self-determining; environment-transcendence; separateness; living by its own laws; identity). Order: (lawfulness; rightness; nothing superfluous; perfectly arranged). Meditation enhances these qualities and helps you use them in practical ways to achieve greater heights of fulfillment, self-transcendence or self-realization and, ultimately enlightenment. Csikszentmihaly, M. (1991) Flow: The Psychology of Optimal Experience. Harper Perrenial, New York. Dietrich, A. (2004) The cognitive neuroscience of creativity. Psychon. Bull. Rev. 11(6), 1011–1026. Marin, M.M. & Bhattacharya, J.. Getting into the musical zone: trait emotional intelligence and amount of practice predict flow in pianists. Front. Psychol., 22 November 2013. Maslow, A. (1962). Lessons from the peak-experiences. Journal of Humanistic Psychology, 2, 9-18. Maslow, A.H. (1968). Toward a Psychology of Being. New York: Viking.